In this interview, Virginia Harger discusses her career as a dietician, her influence on the advancement of home economics, and her association with Oregon State University. She begins by talking about growing up in Spokane, Washington, and attending college at Washington State University after having been acquainted with a dietician who inspired her to pursue an education in that field. After graduating from WSU, Harger began an internship in a hospital in Seattle in 1935. After the end of her internship, she moved on to a job at the University of Nevada, then pursued graduate work at Kansas State University. From there she transferred to Ohio University and later to Stanford University. After Stanford’s home economics school was cut, she joined the Army. 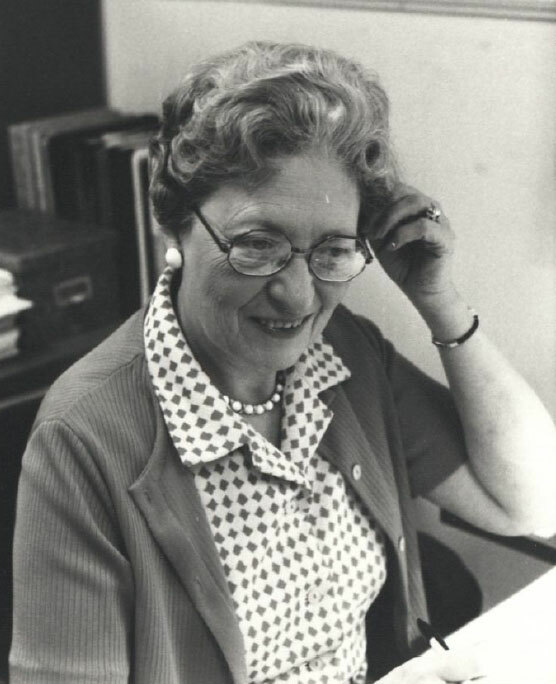 After leaving the Army at the end of the Second World War, Harger went to work for the American Dietetic Association at their headquarters in Chicago, where she was trained by LeVelle Wood. The pair co-authored a textbook titled Foodservice in Institutions along with Bessie B. West. Wood later asked Harger to become a professor of institution management at Ohio State University. Harger accepted the position and stayed for nineteen years, and in her interview she touches on many aspects of her life at Ohio State and afterwards. She also discusses educational food services films she was involved with, the differences between Oregon State University and Ohio State University in the late 1960s, the effect that Betty Hawthorne had on Harger and OSU, and her guiding philosophy as a home economist. Harger also describes her experiences as a member of the American Dietetic Association while in Ohio and mentions the personal effects that home economics has had on her as a single woman. She also gives advice on how to become successful in the home economics industry and discusses the future of home economics. The interview concludes with Harger mentioning that she helped develop the Hotel and Restaurant management curriculum and participated in a research project of setting up curricula in Oregon community Colleges. Virginia Harger, “Virginia Harger Oral History Interview,” Special Collections & Archives Research Center, accessed April 21, 2019, http://scarc.library.oregonstate.edu/omeka/items/show/33741.